In this article, we will discuss the comparison between two popular products for pain relief, which are Penetrex vs Blue Emu. These creams are often recommended for people experiencing muscle or joint pain. However, are they really effective? Which one is actually better in providing pain relief? Find out below! 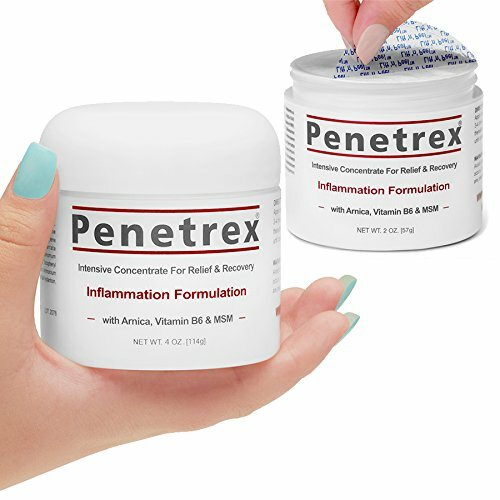 Penetrex is unique because, as a pain relief cream, it uses a patented formula which has been specifically designed to treat inflammation and reduce pain. It is known to be effective for a wide range of muscle and joint pain problems, including back pain, muscle strains, sciatic nerve pain, carpal tunnel syndrome, neuropathy, fibromyalgia, arthritis, plantar fasciitis, tendonitis, shoulder pain, hip pain, golf elbow, and tennis elbow. See also: Blue Emu vs Biofreeze. The company claims that Penetrex does not only ‘mask’ or hide the pain, which is often the case with many pain reliever products. Penetrex actually promotes the healing and repair of the damaged or inflamed tissue. This is one reason why it is also recommended for nerve-related pain problems, such as carpal tunnel system and neuropathy. It is formulated and filled in an FDA-certified laboratory in California. 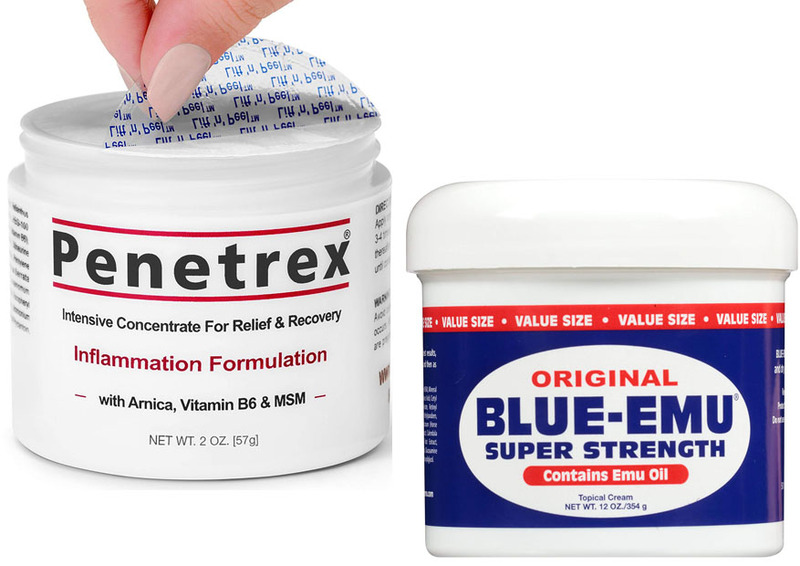 Blue Emu is also unique because it uses a certain active ingredient that is not used by most other pain reliever products. The active ingredient is emu oil – we will discuss about it further in the next section. It is suitable for most muscle pain and joint pain problems. However, it is not specifically mentioned to be suitable for nerve-related pain problems or not. Now, let’s compare the ingredients of Penetrex vs Blue Emu. These two products use very different formulas. Hence, you can also expect different degrees of potency and effectiveness from them. Penetrex uses a variety of ingredients that can soothe inflammation and enhance the healing process. Those ingredients include methylsulfonylmethane (MSM), glucosamine, vitamin B6, vitamin E, arnica montana flower extract, sunflower seed oil, peppermint oil, frankincense oil, aloe vera leaf extract, shea butter, tea tree leaf oil, glycerin, PEG-100 stearate, and steareth-20. Note that, besides ingredients that soothe inflammation and enhance the healing process, Penetrex also uses some ingredients with moisturizing effects. This is to allow easy absorption of the formula and to keep the affected area sufficiently moist and healthy.Penetrex is paraben-free, so it won’t increase the risk of cancer. Blue Emu, on the other hand, also uses some similar ingredients. There are MSM, stabilized aloe vera gel, glycerin, stearic acid, and dimethicone. There are also natural extracts including horse chestnut extract, calendula extract chamomile extract, comfrey extract, and zanthoxylumalatum extract. However, the distinctive ingredient of Blue Emu is the emu oil ingredient, which is very rich in essential fatty acids omega-3, omega-6, and omega-9. Emu oil is known to be easily absorbed by the skin. It can penetrate deeply and quickly into your muscles and joints to promote the healing process and provide long-lasting pain relief. Blue Emu does have paraben. However, to be fair, the amount is actually small. It won’t increase the risk of cancer dramatically. When choosing a pain relief cream, one of the biggest questions that people often ask is about the scent and texture. Some people really hate creams that have funny scents. Some people can’t stand such sharp scents at all. In addition, most people hate creams that are greasy. Penetrex is awesome because its scent vanishes quickly. You may notice a mild mint scent when opening the tub and applying the cream onto your skin. However, this scent doesn’t last. The cream is non-greasy and non-staining, so you don’t need to worry about a messy application. Blue Emu claims that it is odorless. So, it can be applied whenever and wherever needed without causing a funny smell that may make everybody turn around. The cream is very gentle. It is moisturizing and non-irritating. The cream is non-greasy too. It can be applied on the affected area without leaving a greasy layer on the skin. So, how is the effectiveness of Penetrex vs Blue Emu? Well, in general, both pain relief products are effective. They both can eventually reduce muscle pain and joint pain. However, one may deliver its effects faster than the other. Users have mentioned that Penetrex is able to relieve the tennis elbow condition within two or three days, and deliver a significant improvement within three or four weeks. The pain relief, in some cases, is not necessarily immediate. If the pain is mild, the cream can show quick results. However, this cream is more for long-term healing, and it is really great in that regard. 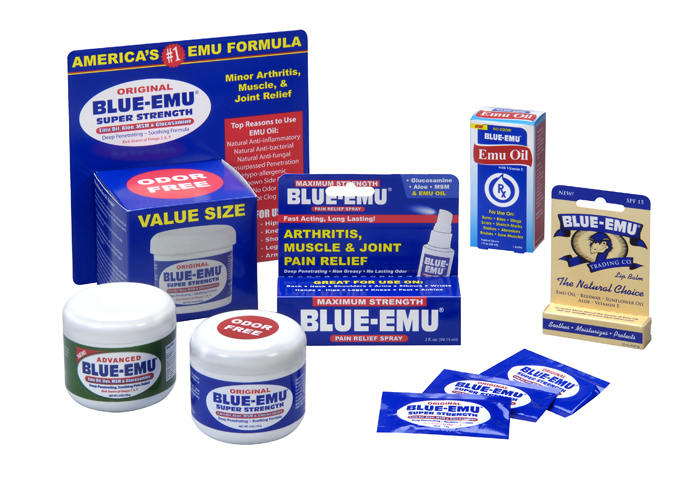 Blue Emu tends to deliver quicker pain relief, especially on mild cases of muscle pain or joint pain. It also works quite well for long-term healing. Some users say that Blue Emu is great for carpal tunnel syndrome. However, Blue Emu is not as effective as Penetrex on the more severe cases. Before using any of these products, you must check the ingredient label. Make sure that you are not allergic to any of the ingredients. You may be allergic to one of the ingredients if you experience itchiness, rash, difficulty breathing, or headache after using the cream. While Penetrex is paraben-free, Blue Emu is not. Actually, the amount of paraben used in the product is still under the limit set by the regulation. So, it is still safe to use. The problem with paraben is that paraben is found in some cancer cells, so people worry that paraben may increase the risk of cancer. In general, Penetrex is more recommended. This pain relief cream is known to be effective for a variety of pain problems, including tennis elbow, golf elbow, and carpal tunnel syndrome. It does not only mask the pain; it actually promotes healing and repair. It is non-greasy, non-staining, and paraben-free.